If you look for yourself in the past and see nothing, how do you know who you are? How do you know that you’re supposed to be here? When Wyatt brings an unidentified photograph to the local historical society, he hopes staff historian Grayson will tell him more about the people in the picture. The subjects in the mysterious photograph sit side by side, their hands close but not touching. One is dark, the other fair. Both wear men’s suits. Were they friends? Lovers? Business partners? 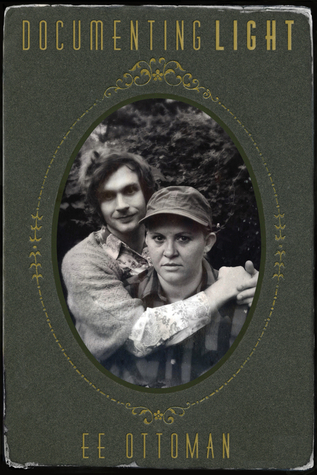 Curiosity drives Grayson and Wyatt to dig deep for information, and the more they learn, the more they begin to wonder — about the photograph, and about themselves. Grayson has lost his way. He misses the family and friends who anchored him before his transition and the confidence that drove him as a high-achieving graduate student. Wyatt lives in a similar limbo, caring for an ill mother, worrying about money, unsure how and when he might be able to express his nonbinary gender publicly. The growing attraction between Wyatt and Grayson is terrifying — and incredibly exciting. As Grayson and Wyatt discover the power of love to provide them with safety and comfort in the present, they find new ways to write the unwritten history of their own lives and the lives of people like them. With sympathy and cutting insight, Ottoman offers a tour de force exploration of contemporary trans identity. Oh, that was such a sweet and tender and heart-warming story! Everybody needs love and affection and a place in the world and they have the right to it, they deserve it and when get the chance to have it, it can be beautiful! This book is an example of why I love reading in general and reading romance in particular, stories like this one are magical and they help us see and relate to each other as human beings regardless of the differences between us. The romance between Grayson and Wyatt is slow going, unassuming, it takes time to develop, all this making it real. There is a strong attraction but both of them are shy, a bit insecure, coming to terms with their own selves and being with another person did not come easily to either of them. Add to this some serious real-life family/professional issues they were dealing with and connecting with another person the way they did was both soothing and taxing on them. The need for human connection, for acceptance especially for marginalized people, though I really feel most people have this need and most of us feel marginalised in one way or another. I loved how understated this story was, just ordinary, yet special people, struggling to find their place in life. That desire not to be alone and to have someone by your side, someone you can share yourself with, it spoke to me so much. My only minor quibble is that at times the messages of the story came off as too strong to the point of being didactic. I liked the easy flow of the writing, though occasionally the unfolding of the story seemed too slow, falling too much into scientific discussion of historical research rather than following the characters on their journey towards happiness/fulfillment. I very much liked focus the author put on the everyday aspects of life - two people meet, fall in love and slowly mesh their lives together. There are awkward moments, and setbacks and both welcome and hurtful intrusions of family but ultimately it's a story of two people dealing with being trans who find the way to be a couple, to love themselves and each other. Hi! I'm Ellie. I love reading (and coffee and chocolate and cuddles) and this is where I blog about books. You can find me at the usual SM place talking about all the things. Share book reviews and ratings with Elena, and even join a book club on Goodreads.